George D. Watt the founding transcriber and publishing editor of the Journal of Discourses. One of the most common suite of arguments that Mormons use against the Journal of Discourses involves George D. Watt – the founding transcriber, editor, and publisher of the first several volumes (from 1853-1868). There are two recurring arguments that are used here. The first argument is based on the assumption that because there was no modern recording equipment used back then the sermons couldn’t possibly be captured accurately. Therefore, it’s argued, the Journal of Discourses sermons that were ultimately published can’t be trusted but they’re unreliable, and most certainly flawed. George Watt was a man born in England who joined The Church of Jesus Christ of Latter-day Saints as the first baptized member in that country. George D. Watt’s importance in the preservation of the history of the Church is that he learned how to use a new system of shorthand developed by Isaac Pitman. Pitman’s shorthand is a vast improvement over previous shorthands. Before that, it was impossible to record things verbatim. In Pitman’s shorthand, a skilled reporter could record things verbatim so you would have exactly what the person said. Before George Watt came on the scene in Nauvoo, people like William Clayton and Martha Coray and Thomas Bullock took notes as fast as they could of what Joseph Smith said. And we know about Joseph Smith’s Nauvoo sermons by taking their notes and combining them to try to get a total picture. George D. Watt became the first person to take down sermons word for word. Other Latter-day Saint scholars have also refuted this claim. These excerpts are from, what is currently, the definitive biography of George D. Watt. It was published by Utah State University in 2009. In November  the Deseret News announced that Watt’s service as a reporter was available not only to the News but anybody who wanted correct reports, and “if the brethren will employ him, and sustain him in his employment, time will prove it a blessing to all concerned. With permission to publish speeches of the church authorities, Watt needed to concentrate on the Journal of Discourses. The process of publishing each volume was laborious. He needed to be at all the meetings, recording the speeches in shorthand. Then, with the help of President [Brigham] Young, he chose the talks that would be transcribed. In the first volume, twenty-six of the fifty-three sermons were by Young. Heber C. Kimball and Parley P. Pratt had the next most sermons published with six each. In the second volume, Brigham Young had composed seventeen of the fifty-six sermons. Young’s sermons were spoken without notes and from memory. The phonographer had to work very hard to keep up with each speaker. Watt grew accustomed to the delivery style and speed of each speaker. If Young was not the first speaker, Watt sometimes did not arrive at the Tabernacle on time, and when he arrived late for the meeting, he slipped into his desk very quietly. Well, brethren and sisters, try and be Saints. I will try; I have tried many years to live according to the law which the Lord reveals unto me. I know just as well what to teach this people and just what to say to them and what to do in order to bring them into the celestial kingdom, as I know the road to my office. It is just as plain and easy. The Lord is in our midst. He teaches the people continually. I have never yet preached a sermon and sent it out to the children of men, that they may not call Scripture. Let me have the privilege of correcting a sermon, and it is as good Scripture as they deserve. The people have the oracles of God continually. In the days of Joseph, revelation was given and written, and the people were driven from city to city and place to place, until we were led into these mountains. Let this [discourse] go to the people with “Thus saith the Lord,” and if they do not obey it, you will see the chastening hand of the Lord upon them. But if they are plead with, and led along like children, we may come to understand the will of the Lord and He may preserve us as we desire. Brother Orson Hyde referred to a few who complained about not getting revelations. I will make a statement here that has been brought against me as a crime, perhaps, or as a fault in my life. Not here, I do not allude to anything of the kind in this place, but in the councils of the nations–that Brigham Young has said ‘when he sends forth his discourses to the world they may call them Scripture.’ I say now, when they are copied and approved by me they are as good Scripture as is couched in this Bible, and if you want to read revelation read the sayings of him who knows the mind of God, without any special command to one man to go here, and to another to go yonder, or to do this or that, or to go and settle here or there. A full set of the Journal of Discourses. The published text in the Journal of Discourses simply cannot be relied upon to represent the actual words delivered by the speaker. The edited, published versions may represent ideas similar to what the speaker intended and may occasionally represent the speaker’s own editorial changes, but they do not represent a word-for-word echo. In fact, they often would not be recognizable when compared to the originally spoken words. The differences between originally recorded shorthand and published versions of a particular document, however, are not unique to the Journal of Discourses. Indeed, in most other instances of nineteenth-century shorthand studied and transcribed by Carruth – ranging from trial testimony in the John D. Lee trails to Quaker sermons delivered in 1850 and 1851 – similar editing can be seen between the shorthand and the published versions. [Brigham] Young was likely also aware of, and possibly even condoned, Watt’s general practice of editing the sermons in order to present the speakers in a more polished, erudite light. Indeed, Watt’s efforts certainly portrayed to the public more refined discourses, and Young may have expressly charged Watt to make such changes. In 1868, Godbe and other Mormon merchants began criticizing the economic demands and policies of Brigham Young in Utah Magazine, a periodical that would eventually become The Salt Lake Tribune. That same year, Godbe traveled with his friend (architect, publisher, and fellow Latter-day Saint) Elias L. T. Harrison on an extended business trip to New York. At the time, both men were beginning to question their beliefs in the LDS Church, especially the idea that the church’s president (whom members looked to as God’s prophet on earth) was infallible. In New York, the two men began attending séances in the hopes of obtaining wisdom and direction from former LDS leaders such as Joseph Smith and Heber C. Kimball who had died. Through the services of a spiritual medium, the men claimed to receive visitations from both Joseph Smith and Heber C. Kimball; also Peter, James, John, and Solomon from the Bible; and finally the German naturalist Alexander Humboldt. The spirits of Smith and Kimball apparently instructed Godbe and Harrison to reform the Mormon Church, while the spirit of Humboldt told the two men he had important information for them that would revolutionize the world’s understanding of evolution (a common theme of 19th Century Spiritualism). Upon returning to Salt Lake, the two men intensified their criticism of the LDS Church in Utah Magazine. On October 25, 1869, they were called before a council of Mormon leaders and tried for apostasy. Brigham Young reportedly gave Godbe the option of selecting his own jury, including one consisting entirely of women and children, if he so desired. Godbe refused the offer, claiming that the composition of the jury would unlikely affect the trial’s outcome. At the conclusion of the trial, Godbe and Harrison were excommunicated from the church. In 1869, Watt was disfellowshipped from the LDS Church for following the teachings of dissident William S. Godbe. Watt was identified as one of the leaders of the “Godbeites” and was disciplined by the Quorum of the Twelve Apostles. Although Watt was initially repentant and desired to return to full fellowship in the LDS Church, by 1874 he was a devoted Godbeite and was excommunicated from the LDS Church on May 3, 1874. Using his skill as a stenographer, Watt began recording the sermons given by Young and other LDS Church leaders. Beginning in 1853, Watt published these sermons in a periodical known as the Journal of Discourses. Watt remained the primary editor of the Journal until 1868. Watt was baptized a Latter Day Saint on July 30, 1837 by Heber C. Kimball in the River Ribble. Watt won the right to be the first official British Latter Day Saint convert by winning a footrace against eight others from Fielding’s congregation that desired to join the Mormons. In 1840 and 1841 Watt served as a Mormon missionary in Scotland. In 1842, Watt left England to join the gathering of the Latter Day Saints in Nauvoo, Illinois. In 1846, Brigham Young sent Watt and his wife back to England as church missionaries. Watt used his skill at Pitman shorthand in serving as a clerk to mission president George Q. Cannon. In late 1850, the Watts returned to America and joined the new gathering of Latter-day Saints in the Salt Lake Valley in Utah Territory. In Utah, Watt worked as a reporter for the Deseret News and as a private clerk for Brigham Young. Using his skill as a stenographer, Watt began recording the sermons given by Young and other LDS Church leaders. Beginning in 1853, Watt published these sermons in a periodical known as the Journal of Discourses. Watt remained the primary editor of the Journal until 1868. In 1852, Watt was appointed by Young to a committee that was charged with creating a new phonetic alphabet that would assist non-English speaking Latter-day Saint immigrants to learn English. The result was the Deseret Alphabet. 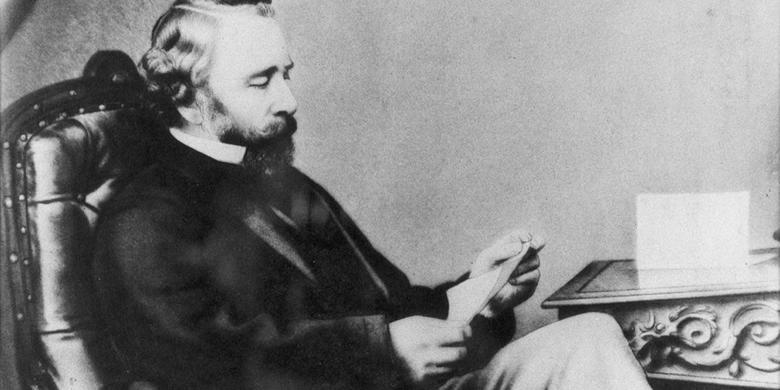 Although the alphabet was largely a failure, Watt remained a strong promoter of the language system. A page of Pittman Shorthand. What About All The Other Transcribers? David W. Evans, also an English convert, an associate editor of the Deseret News, and the first violinist in the Salt Lake Theatre Orchestra, succeeded Watt as the main reporter to the Journal from 1867 to 1876. Another major reporter was George F. Gibbs, who was born in Wales and was the secretary to the First Presidency of the Church for fifty-six years. In all, twelve people reported sermons for the Journal of Discourses, including one of Brigham Young’s daughters, “Miss Julia Young,” who reported one of his speeches. So are we to believe that Brigham Young’s daughter, the secretary to the First Presidency of the Church, and an associate editor of church-owned Deseret News were also complicit in this alleged secret conspiracy of George D. Watt to undermine the leaders of Mormonism and the LdS Church? And we’re to believe that leaders of the LdS Church who reviewed and approved the sermons before they were published went along with this? For thirty-two years? And they did nothing? Really? When scrutinized both of these arguments simply unravel. The body of evidence – especially that from official Church sources like the Church History Department – utterly discredits them. 1 One need look no further than today’s Ensign magazine to see this pattern and tradition still in play. For example, one can consider BYU Professor Brad Wilcox’s infamous “His Grace is Sufficient” BYU devotional which is markedly different in Ensign (click here to read) than it is in the original version (click here for the transcript or here for the video). And we can consider the well-known redactions and modifications to Boyd K. Packer’s Fall 2010 “Cleansing the Inner Vessel” (click on this link to view video) General Conference address which was modified for publication in Ensign (click here to read a Salt Lake Tribune article that summarizes what was changed). And last, but not least, is the famous Pohlman General Conference address where they even went so far as to record the video of the sermon for release to the public. It was the re-recorded version that was published in Ensign, not the original address as originally given in General Conference. Click here for the modified version in a side-by-side comparison. So if modern Mormons point a finger at George Watt and 19th Century Mormon leaders for engaging in these practices of pre-publication redaction and modification they’ll only find four fingers pointing back at themselves. The Mormon Tabernacle where many of the addresses in the Journal of Discourses were delivered. UPDATE: The second LdS argument presented in the above article involves the disparity between the original Pittman shorthand manuscripts that were taken in General Conference (and at other Church functions) and what was ultimately published in the Journal of Discourses. 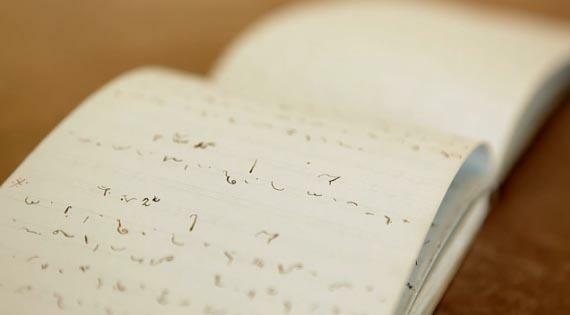 This argument points to the fact that LaJean Purcell Carruth, the LdS Church’s Pitman shorthand expert who has been transcribing the Journal of Discourses from George D. Watt’s original Pitman Shorthand manuscripts, has discovered these disparities and has written and spoken on them. However, as the article also points out, the historical record shows that the Journal of Discourses era Mormon Leaders WERE involved in the editorial process and what was ultimately published in the Journal was what they wanted to see in final printed form, even if it was different than what they had originally said in person. Q: How is that ANY different than what happens today? “Within minutes after a General Conference speech is given, devoted members of The Church of Jesus Christ of Latter-day Saints already have tweeted their favorite quotes, posted them on Facebook, shared them on Snapchat or created memes of them on Instagram. These Latter-day Saints notice if an anecdote or statement has been revised later — especially if it’s on a controversial topic. The article then goes on to cover the long history of this practice going back to what replaced the Journal of Discourses in 1897 – Conference Reports. The long and the short of it is this: The LdS Church has a long history of publishing revised, redacted, and edited versions of official Church addresses, up to and including General Conference. The Journal of Discourse is no different than what followed it. Q: If disparities between what was originally said and what was ultimately published are grounds for rejecting the published version then shouldn’t we reject anything and everything that meets this criterion – up to and includes today’s official, correlated Church publications, up to and including Ensign and Liahona?